This is compelling smart e-tailers to update their systems to drive efficiency and keep up with the competition. In this post, we examine ways an ERP system integrated with your eCommerce site can benefit your company. An ERP solution that seamlessly integrates with your eCommerce site eliminates error-prone manual data entry, manages inventory, improves order accuracy, and increases efficiency. Does your back office consist of your accounting, procurement/vendor management, inventory management, warehouse, shipping, customer service, (and possibly more) departments? Do you use separate software systems for each area, leaving them to function in a bubble? If so, you’re creating data silos that, at best, offer outdated data and, at worst, inaccurate data. If your sales update in one database but your inventory doesn’t reflect those sales in real time, you have a mess on your hands – inaccurate inventory negatively affects your bottom line. A leading-edge, cloud-based ERP solution includes components for each department, ensuring that every business unit within your company is working with the same up-to-date information, leading to better business decisions. When you know your sales trends, it’s easier to predict your inventory needs and determine hiring requirements for peak sales times, which reduces the inventory losing money on your warehouse shelves. Most companies focus on growing. To do that, however, they need funding. A high-quality ERP ensures your financial data complies with generally accepted accounting principles (GAAP) and international financial reporting standards (IFRS), allowing you to present ‘clean’ and up-to-date financial records to your financial institution. If you run a brick-and-mortar shop and an online store, or you sell products through Amazon or eBay, your inventory requires management across multiple locations. An ERP that integrates with your eCommerce store, point of sale, and online marketplaces can improve your customers’ experiences. For example, a customer could place an order online and pick it up in person or purchase a product online and return it to a physical location. A study by customer experience pro Walker indicates that by 2020, customer experience will overtake price and product as company differentiators. You need clear visibility into customer interactions as well as the ability to respond quickly to customer issues and monitor customer service team performance. As with any software solution, choosing the product and vendor that are a good fit for your business is critical. 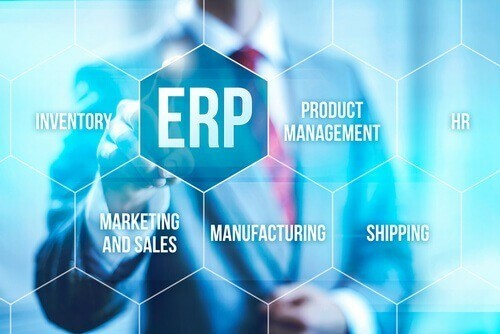 For more information about how Sniperdyne can help you select the right ERP platform, contact us today!